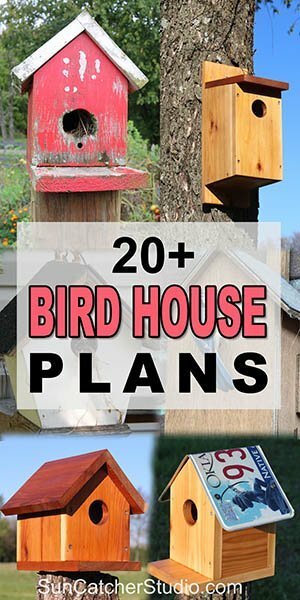 We have gathered a super collection of free, simple, birdhouse plans (nesting boxes) that will attract birds to your backyard and garden. 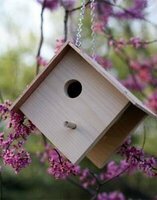 These beginner woodworking projects make a great family activity and will give you great bird watching opportunities. 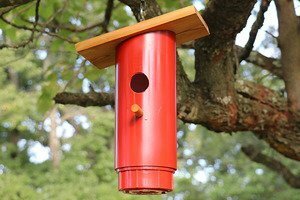 Learn where to place your birdhouse. Find more bird related ideas. 1. 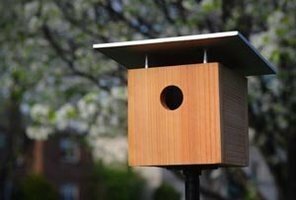 Simple Birdhouse – You can make this easy to build birdhouse from a single board in approximately one hour. 2. 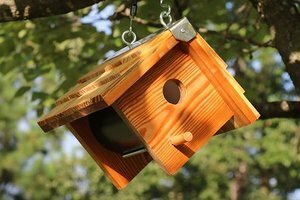 One-Board DIY Birdhouse – This simple DIY birdhouse is made from a single board and requires only a few tools to assemble. 3. 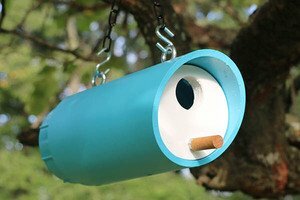 Cute Hanging Wooden Bird Box – uses a recycled coffee can or PVC pipe and a few pieces of wood. 4. 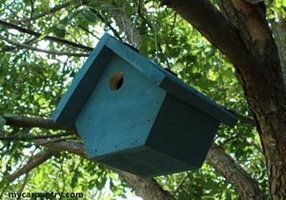 Approved PVC Blue Bird Nest Box Plans – Build this birdhouse in under an hour using PVC pipe and a small piece of wood. 5. 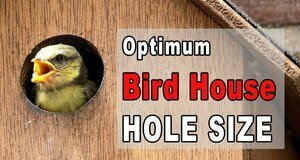 Approved PVC Bird Box Plans – a great afternoon project. Enjoy having bluebirds, swallows, chickadees, nuthatches, warblers, woodpeckers, wrens nest on your property. 6. 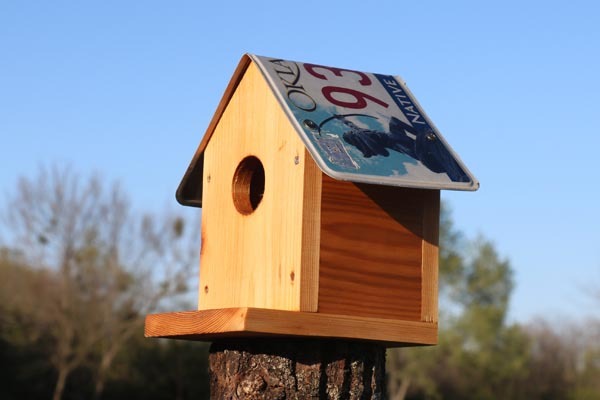 License Plate Birdhouse – uses wood on the sides and bottom and an old license plate for the roof. 7. 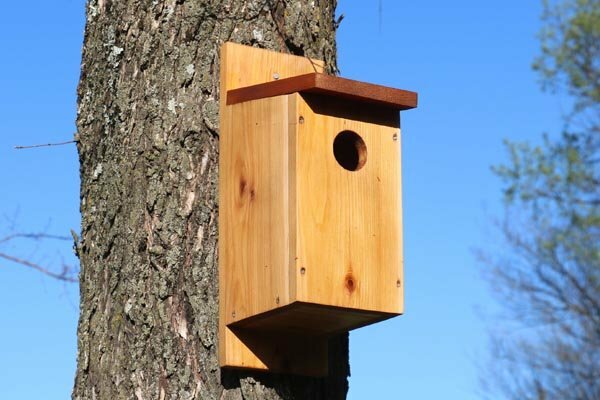 Modern Birdhouse – uses 2×4’s to create a birdhouse with a modern style. Let the bird’s know you are open for business. 8. 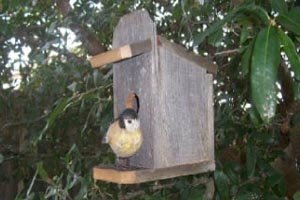 DIY: Simple Bird House – this easy-to-build and functional birdhouse is great for bluebirds and chickadees. 9. 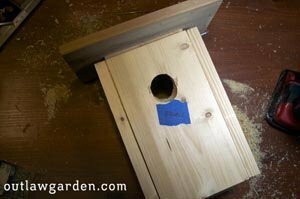 DIY Birdhouse – simple plans to make your own birdhouse. 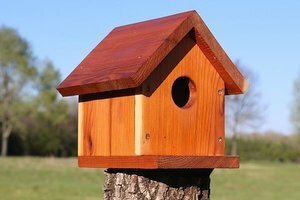 Most of all, the builder and the birds will adore this birdhouse! 10. 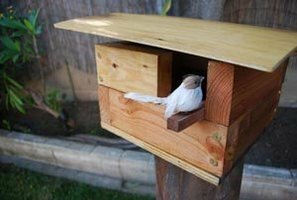 Sparrow Box – this unique design can accommodate more than one breeding pair. Did you know: Birds are very beneficial and provide a natural pest control from insects like bugs, moths, and caterpillars. Therefore, a birdhouse will be providing you two benefits. 11. The Green Roof Birdhouse– this birdhouse combines a living roof on the top. 12. Cedar Double Bird House Planter – this birdhouse doubles as a planter. 13. 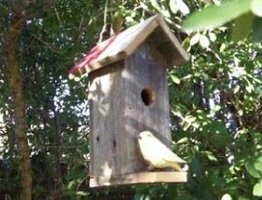 DIY Classic Birdhouse – this simple, quick project will quickly get your feathered friends hanging out in your backyard. 14. Chickadee House. This birdhouse is designed to attract chickadees which are year-round residents. The steeply sloped roof gives it a striking touch. 15. 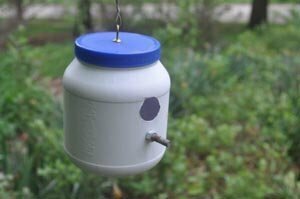 Peanut Butter Birdhouse – Take a plastic jug (e.g., an old peanut butter container) and convert it into a birdhouse! 16. Church Birdhouse – combines metal and wood to create a birdhouse that looks like a church. 17. Wren Birdhouse – this birdhouse is designed for wrens or house finches. The roof has a hinge that allows you to open and close it. 18. 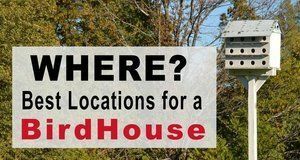 Church Birdhouse – this birdhouse looks like an old wooden church that you might see in the country. 19. 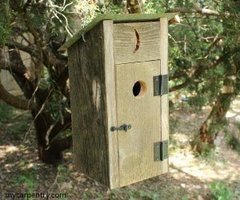 Outhouse Birdhouse – this birdhouse combines wood and a galvanized steel roof to look like an old outhouse. 21. General Store Birdhouse – the front of this birdhouse has the look of an old western style general store. 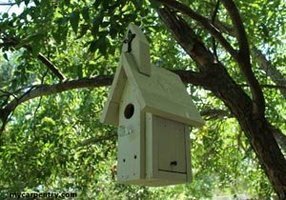 How to hang a birdhouse.